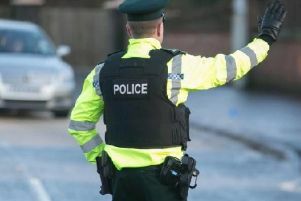 After he had been drinking, a 26-year-old man woke up the next day with his electronic security tag in his pocket, Craigavon Magistrates Court heard last Friday. Hugh Francis Boyce, Avenue Road, Lurgan, appeared in court by way of videolink from Maghaberry prison. He admitted a charge of criminal damage to an electronic tag belonging to G4 Security on August 28 this year. The court heard that on hat day, G4 Security reported a breach of bail by the defendant and the next day Boyce presented himself at Lurgan police station. He refused to answer any questions but produced a prepared statement claiming he had been assaulted by unknown males which resulted in damage to the tag. Mr Gabriel Ingram, representing Boyce, said his client had been granted bail and there was no condition that he was not allowed to drink. He explained that the defendant got very drunk and woke up the next day to find the electronic tag in his pocket. Deputy District Judge Sean O’Hare imposed a sentence of two months in prison. He also ordered Boyce to pay £50 compensation towards the cost of the damage and a £25 offender’s levy.